Wayman Aviation Academy, already operating a fleet of 31 aircraft, has added two Cessna C-172 Jet-A aircraft equipped with Continental Motors compression ignition engines. The academy, established 31 years ago, has one of the largest fleets for pilot training in South Florida. 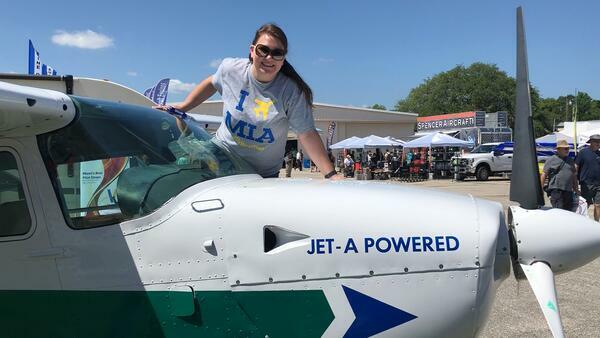 Wayman Aviation Academy has chosen to start transitioning its fleet to Jet-A burning engines to take advantage of the many benefits brought by engines using the Diesel cycle. The fleet utilization and availability are enhanced by the proven reliability of compression ignition engines and the reduction of scheduled maintenance operations. The engine is managed by a dual redundant FADEC (Full Authority Digital Engine Control), allowing for single lever thrust control as on a jet aircraft, engine data logging and predictive maintenance. Furthermore, it allows more environment-friendly operations due Jet-A engine’s lower emissions (CO2) than AVGAS using unleaded fuel. Wayman Aviation Academy trains pilots for the airline industry at Hollywood North Perry Airport, KHWO in Pembroke Pines and at Miami-Opa Locka Executive Airport KOPF in Florida. The Academy is a FAA Part 141 flight training provider for both Miami-Dade College and Liberty University. Wayman has not only built reputation within the US but also earned international recognition, e.g., Wayman is recommended by China Airline Pilots Association (ChALPA) and Brazil Airline Pilots Association (SNA).